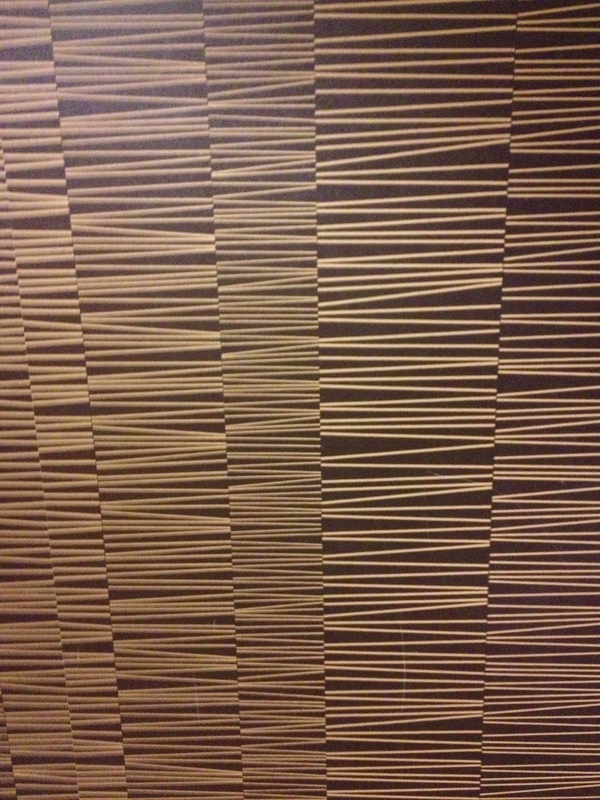 I have never seen a hotel room like mine before! 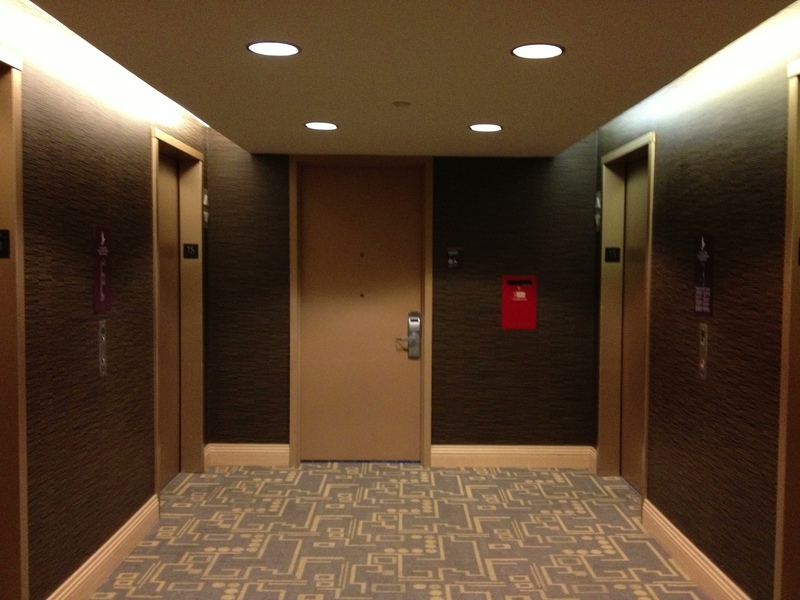 I smile every time I exit the elevator on my floor and take 2 steps and put my key in the door. 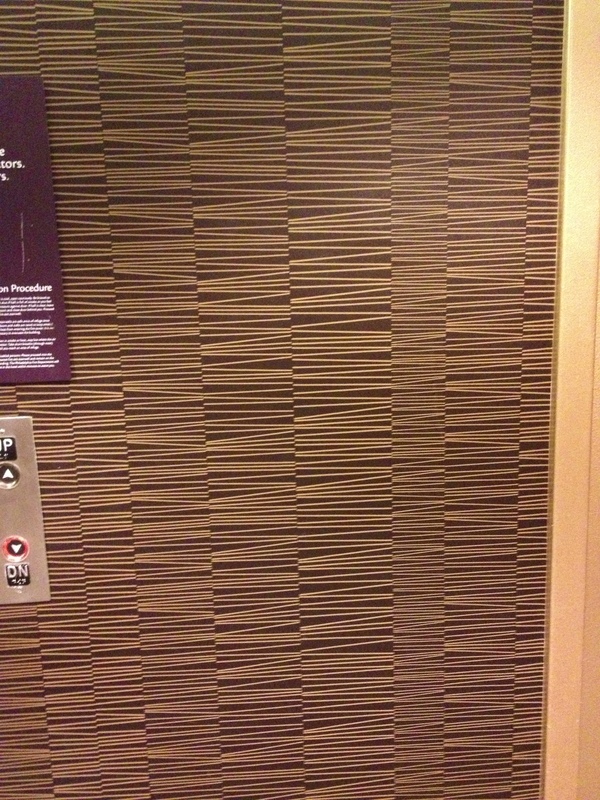 Can you see it there between the elevators? 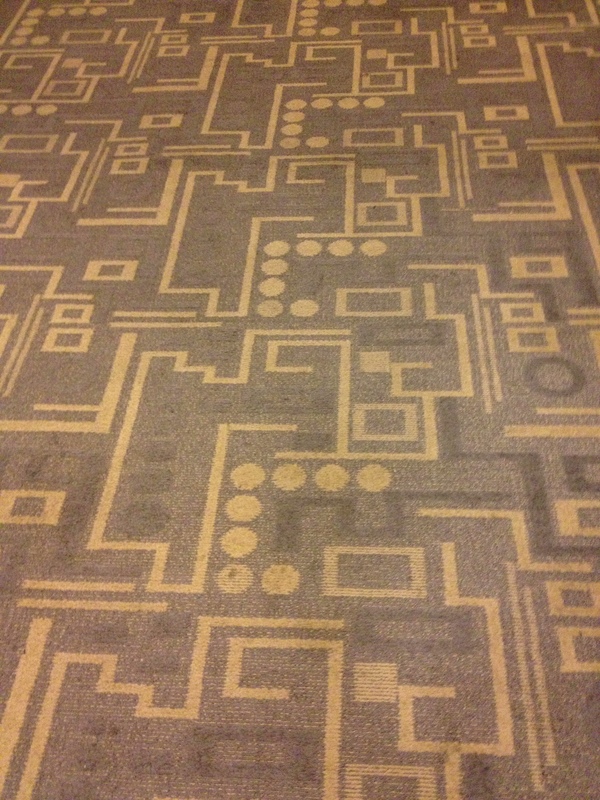 I’ve posted a few pics before, but I really like the carpet and wallpaper in this hotel in Philadelphia. My EatWriteRetreat meeting is over, and I celebrated by walking around my neighborhood and having a good, filling meal at a 2nd floor bistro. I even had a drink! 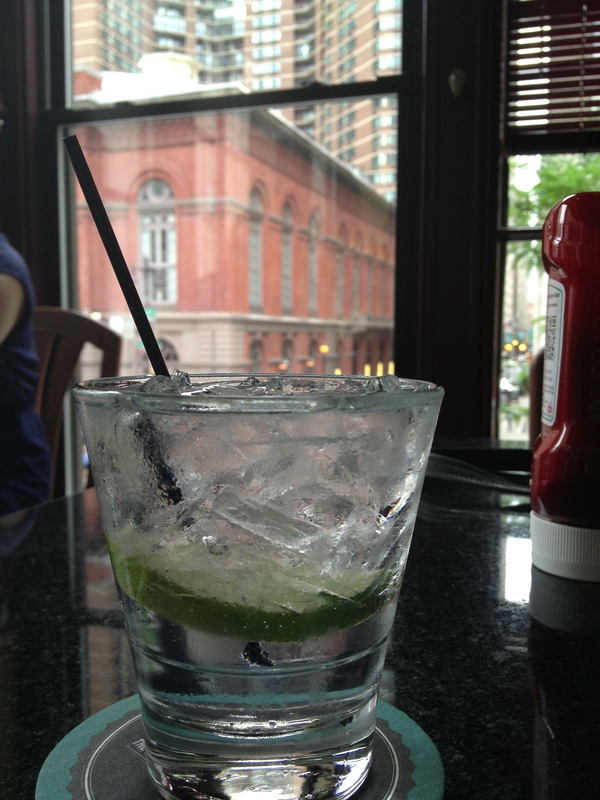 Megan calls it a VodkaTronic. I like that name!